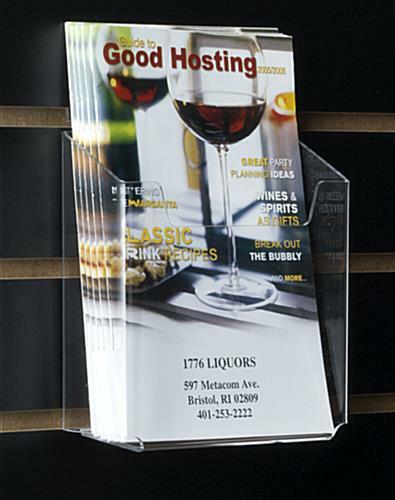 This Slatwall Accessory Holds 5-1/2"w Publications! 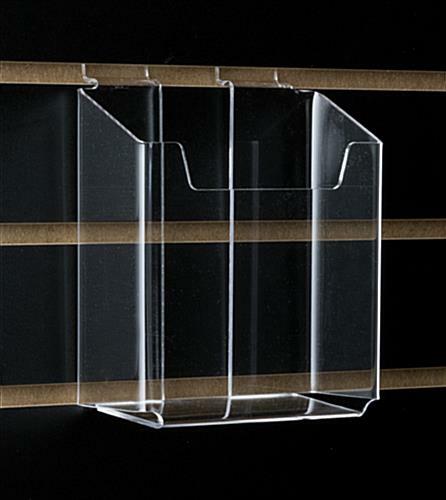 Constructed in Our Warehouse, This Slatwall Pocket is Available in Additional Sizes! 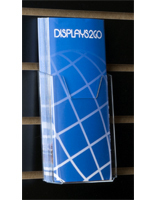 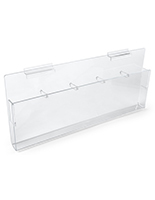 Slatwall Accessory - This 5-1/2" wide pocket is perfect for your brochures or any other 5-1/2" wide materials. 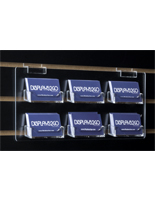 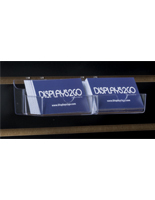 This unit measures at 6"w x 5-5/8"h x 2"d. It is made from acrylic so you are able to see the whole front of your literature. 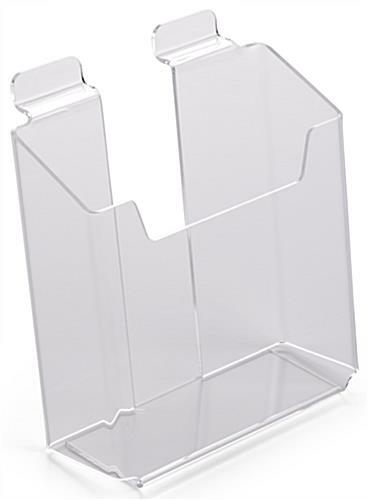 It can be easily attach to any slatwall. 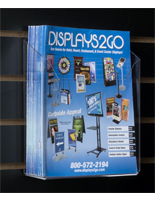 There is no need to have any additional mounting hardware, it simply attaches to the panel. 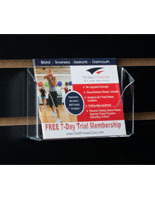 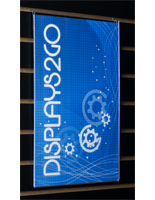 It may be useful for your company to use this slatwall accessory along with some of our other related products. 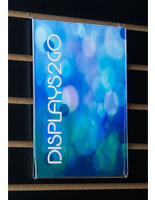 These related products are shown below.